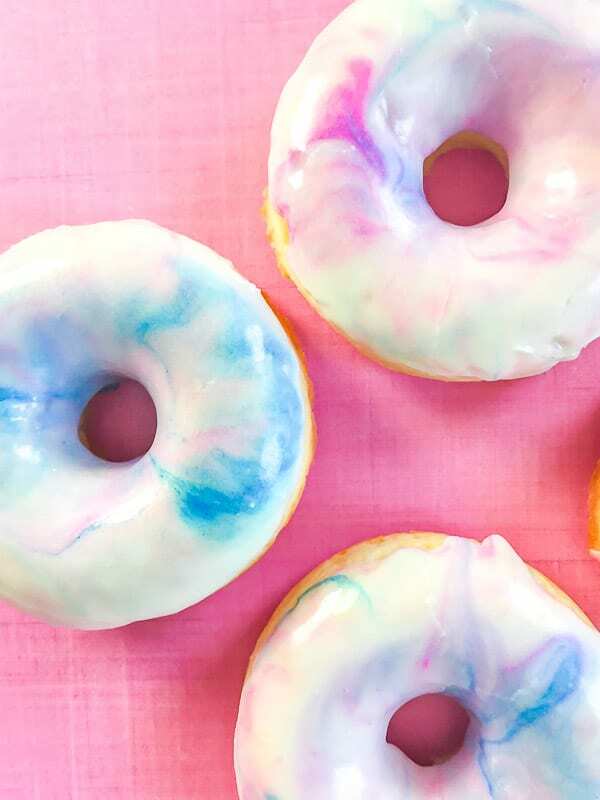 These cotton candy baked cake donuts are as delicious as they are pretty. 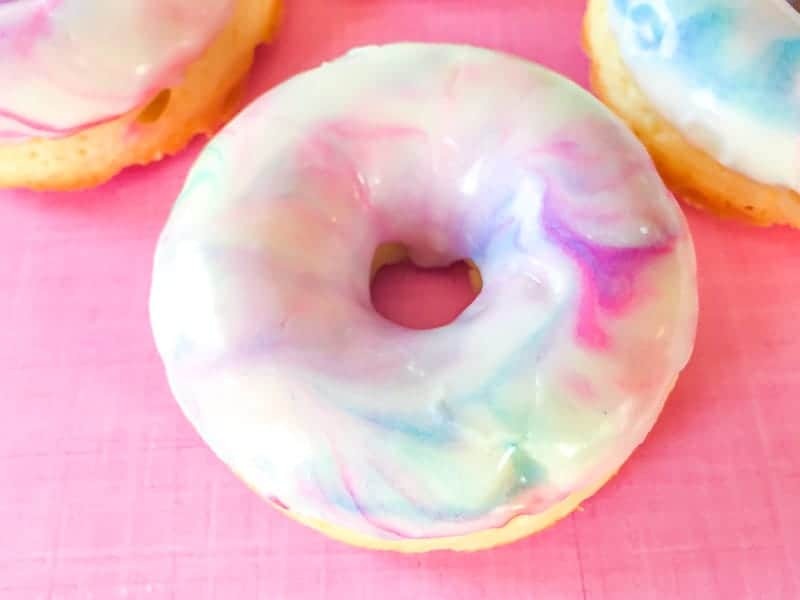 The cotton candy flavoring in the donut and the glaze is just enough to give it flavor, but not enough to make it overwhelming. There’s no yeast involved in this recipe, so no waiting for the dough to rise. 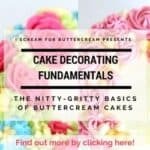 We’re using cake batter, which allows you to bake them instead of frying them. 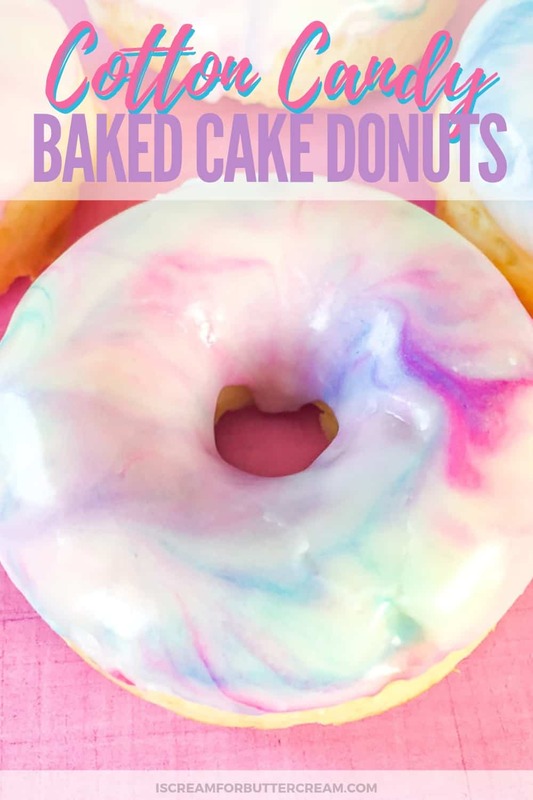 Not that baking them makes them actually healthy…I mean let’s be real, we ARE talking about cotton candy cake donuts here. So why baking? 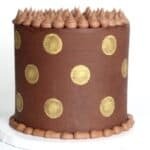 Well because it really gives you that cake texture, plus it’s so much easier to bake than fry something. I really loved the marble look after adding the glaze and so I decided to leave mine with only the glaze on top…but the choice is yours. 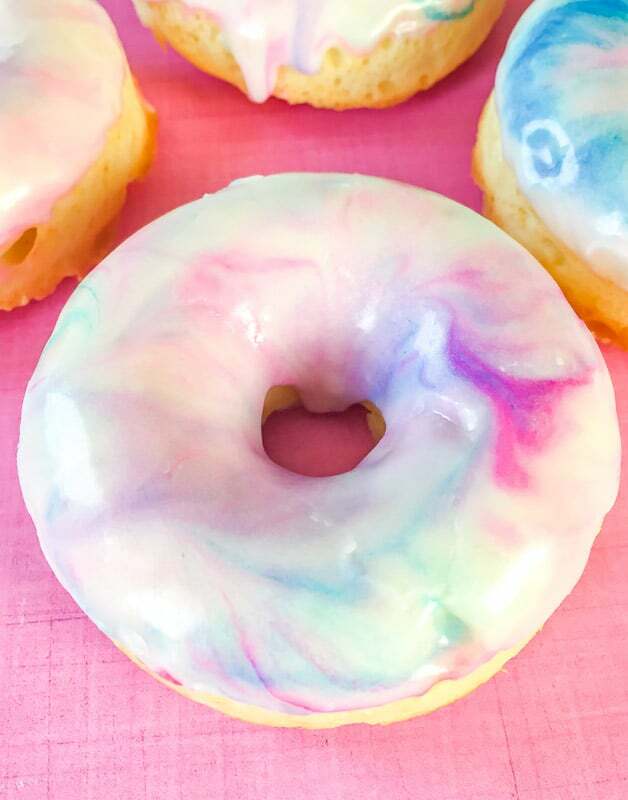 The cake batter for these donuts is different than your normal cake batter. Normal cake batter would be a little too delicate for this purpose. I loosely adapted this recipe from King Arthur Flour’s Cake Donut Recipe. 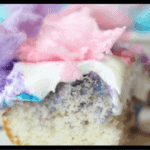 I made some ingredient adaptions and added in the cotton candy flavoring. I think the texture came out just right. 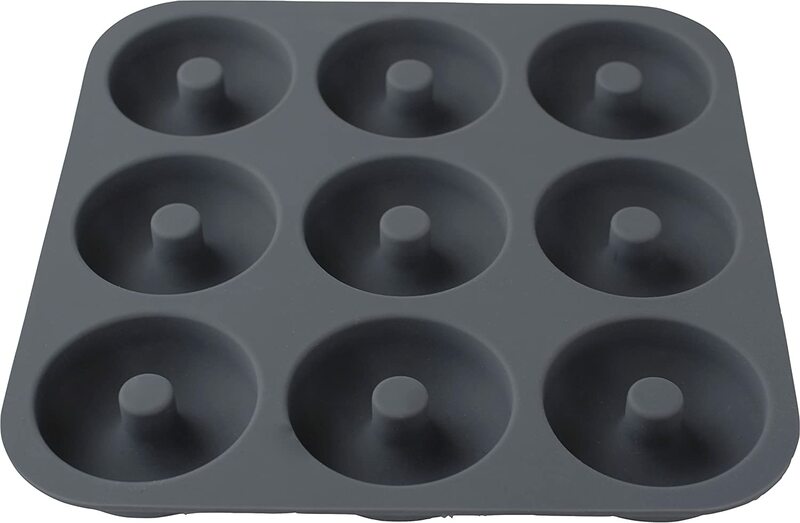 Now we’ll talk about donut pans. There are tons of choices. You can go the silicone pan route or use a metal pan. That’s totally up to you. 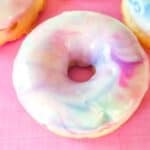 These donuts aren’t hard to make, basically it’s just mixing up the batter, baking them, mixing the glaze and then coating the tops. I’ve even got a video below to show you the process. Alright, now onto the recipe! 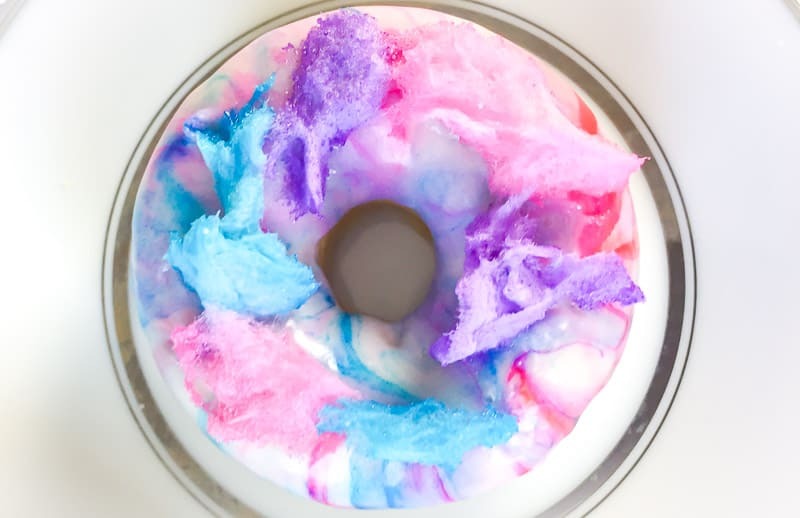 Cotton candy baked cake donuts are delicious AND pretty. They've got a light cotton candy flavor and are baked, not fried, which makes them easy to prepare. For an added bonus, add actual cotton candy on top! Grease the donut pan with a bit of shortening. In another bowl, mix together the milk and cotton candy flavoring. In the mixing bowl, beat the butter, oil and sugar until fluffy. Add the eggs and beat just until incorporated. Add in the dry and liquid mixture. Make sure to alternate the dry mixture with the liquid mixture. Start and end with the dry mixture. (Dry, liquid, dry, liquid, dry) Mix just until incorporated after each addition. Spoon into donut pan about 3/4 of the way up. Bake approximately 15 minutes. Start checking at 10 minutes. Set on a rack to cool for about 5 minutes. Take a paper towel, lay over the donuts and press down lightly to flatten the bottoms of the donuts slightly while they're still in the pan. Cool another 5 minutes on the rack still in the pan. Next, turn out of the pan to cool completely on the rack before adding the glaze. In a mixing bowl, add the melted butter, confectioners sugar, corn syrup, cotton candy flavoring and about three tablespoons of milk. Mix well and check the consistency. If needed, add more milk to thin the glaze. You'll most likely need a couple more tablespoons. 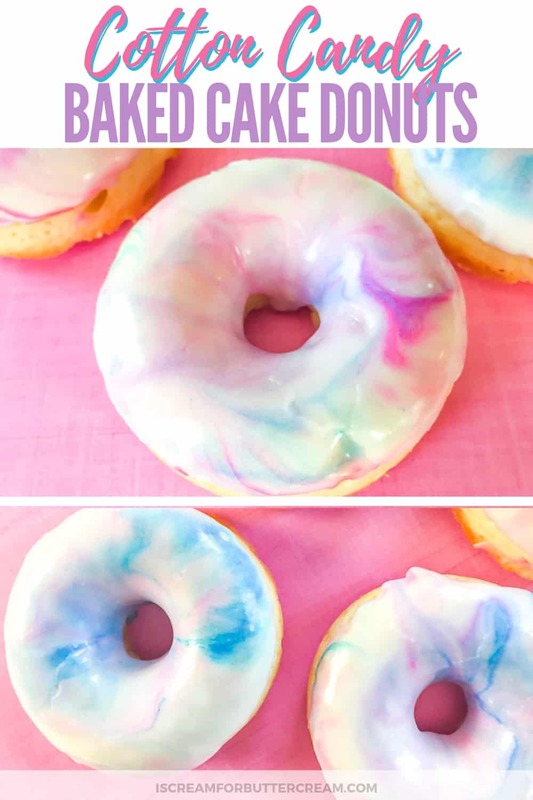 Once the donuts are cool, take the glaze and add a bit of pink and blue food coloring and swirl only slightly. Place a donut face down into the glaze mixture about halfway down the donut and twist it. Lift it up, while twisting and let the excess drip off a bit. 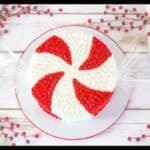 Turn face up and set onto a cooling rack until the icing firms up. Optional: Add cotton candy to the top. If you choose to do this, make sure to wait at least five minutes to let the glaze firm up just a bit, or it'll melt the cotton candy. Don't wait too long, or the glaze will firm up too much and the cotton candy won't stick at all. Adapted from King Arthur Flour's Cake Donut Recipe. Ok, what do you think? Aren’t they pretty? I love how colorful these are and kids will love them. (I know, because I tested them out on my step-kids.) Actually, what am I saying?…adults will love them too. We’re all kids at heart, right?